Participation in the Peer Mentoring Program is a AFP Chicago membership benefit. It is one of the most important programs AFP Chicago offers. This premier program is offered twice a year where seasoned fundraisers who have a minimum of 5 years of development experience are paired with someone with less than 5 years of development experience. 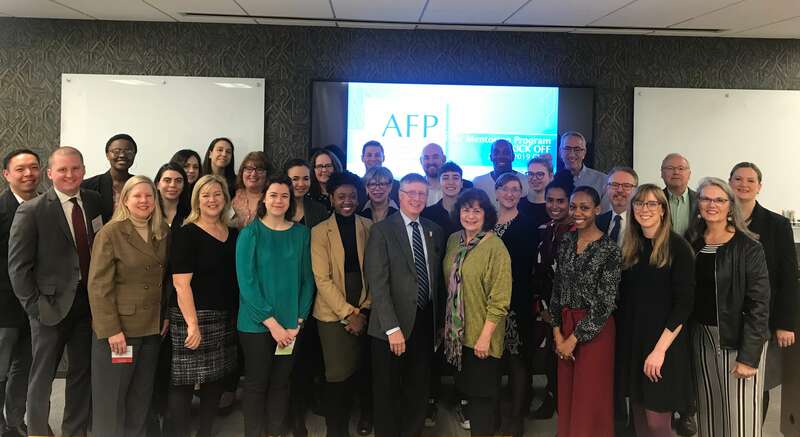 Once applications are received, AFP Chicago’s Peer Mentoring Committee carefully matches mentors and protégés based on interests, skills, and location in order to help mentors and protégés get the most out of their match. The benefits the program provides were recently valued at $8,000 by a local consulting firm. Each spring and fall, we launch a new class of mentors and protégé and we hope you will participate. All participants must be current members of AFP Chicago. Click here for qualifications. To apply, simply download and complete the application and email it with a copy of your current resume to [email protected]. A Very Special Thanks to our Peer Mentoring Sponsors!